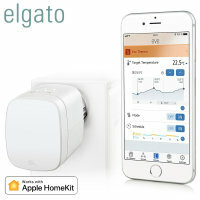 Take complete control of heating your home and save energy with the Elgato Eve Thermo. Compatible with Apple HomeKit, you can set up this smart heating system to follow a schedule, turn off when nobody's home and even activate your heating with Siri. 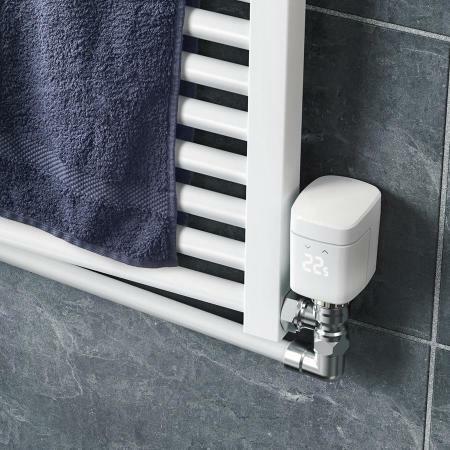 The Eve Thermo Thermostatic Radiator Valve allows you to take full control of the heating within your home. 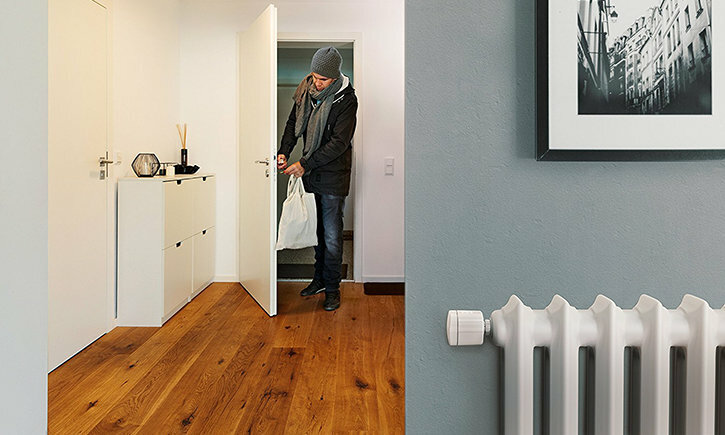 Schedule your heating around your day so that you will never walk into a cold house. Use the Evo Thermo app to set timings, set temperatures either universally or specifically room-by-room and to boost the heating in case you're feeling chilly or plan on having an early finish. The Eve Thermo is flexible, fully customisable and works around your schedule. 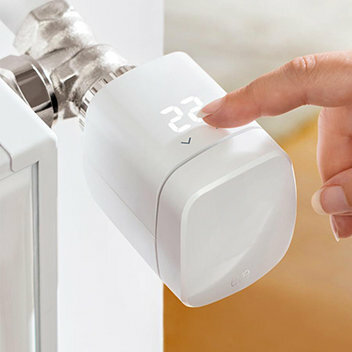 With the included smart sensors and modes you will save energy by only having the heating on when it's needed. 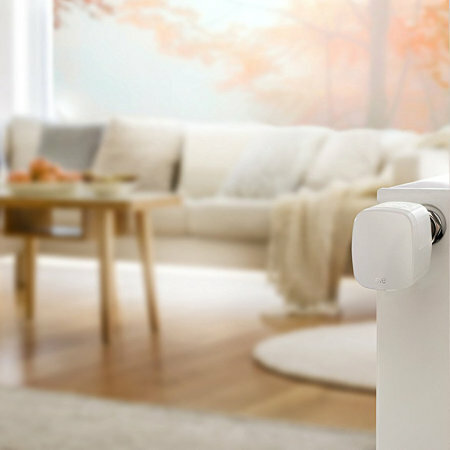 Smart sensors detect your presence and can quickly increase or decrease the amount of heat needed depending on whether you're at home or not. Going on holiday? simply activate vacation mode to keep the heating on low and override schedules while you're away. 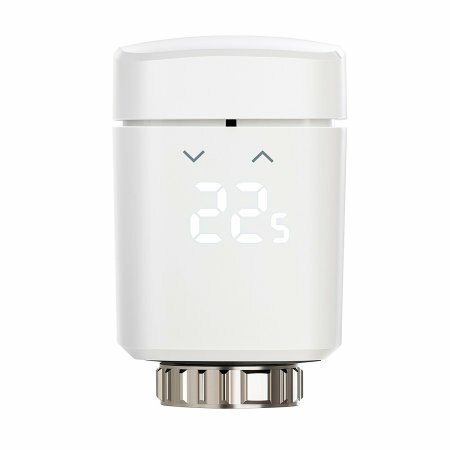 Couple this useful device up with the Eve Door and Window sensors in order to detect when windows or doors are open, so that your home heating can be regulated to save energy. Use the touch activated LED display to check the current temperature and easily select a target temperature with a touch. The Eve Thermo also allows for LED screen orientation adjustment so you can get the angle that best suits you. 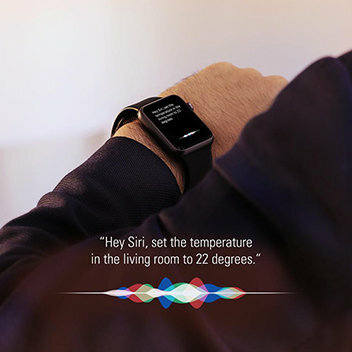 The Eve Thermo has "Works with Apple HomeKit" certification so you can use all of your Apple devices to quickly change or get an update on current temperatures in your house using your voice with Siri. Looking for more detail or need to change some advanced settings? Use the free Eve Thermo app to take control of the heating in your house and keep control of your heating costs. 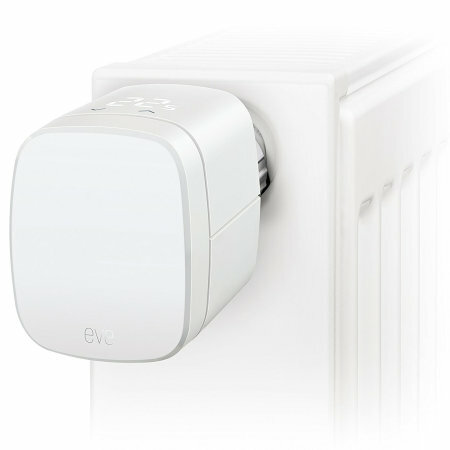 The Elgato Eve Thermo can be easily installed onto your radiator valve and simply controls your heating by using smart sensors to detect room temperature and control water flow to your radiator accordingly. 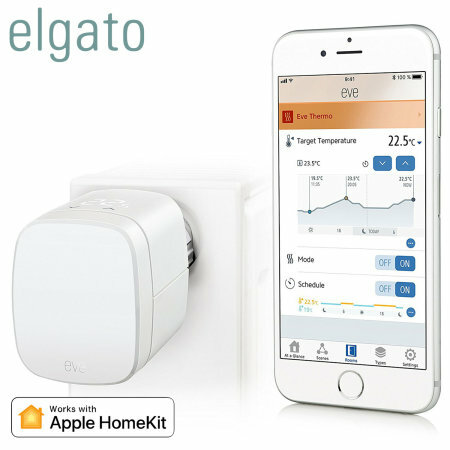 Please Note: The Elgato Eve Thermo requires an iPhone, iPod touch or iPad with iOS 10.3 or later. In order to control this HomeKit enabled device automatically or away from home you must have Apple TV with tvOS 10 or later or an iPad with iOS 10 or later set up as a home hub. 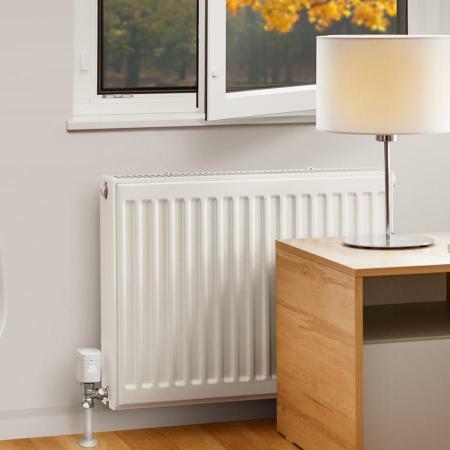 In order to set different temperatures in different rooms you must purchase an Elgato Eve Thermo for each radiator that you wish to control.